2.) You wake up at 4am to cook and/or write...after staying up far too late on your computer. 3.) You visit three grocery stores in one day in search of lemongrass...when you can't find it...you seriously consider moving...to Thailand. 4.) You get your husband and kids out of the house so you can sneak taking pictures of food. I know I'm not alone. So...are YOU addicted? Cook your lo mien noodles according to package directions. Set aside. In a large pan or wok, over medium heat, whisk together the low sodium soy sauce, sesame oil, chili garlic paste, rice vinegar and mirin. 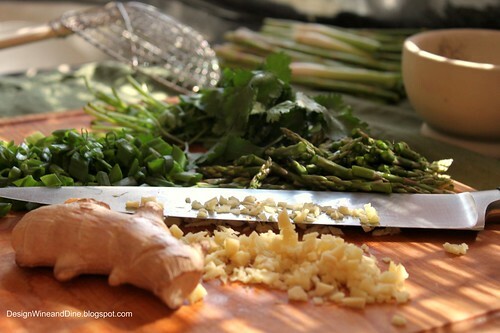 Add your garlic, ginger and scallion and saute 3-4 minutes. Stir in the peanut butter and brown sugar. 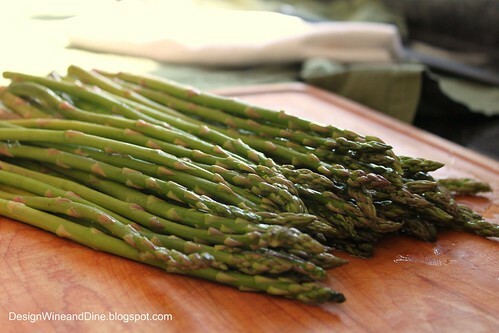 Add your asparagus tips and cook an additional 2-4 minutes until they are softened not mushy. Using tongs, add the noodles to the pan and toss with the sauce until well coated. Garnish and serve hot, room temperature or cold. I can imagine that this dish is addictive! It sounds wonderful, sesame, ginger and scallion...What a great combo! Oh this meal looks incredible! Ha, my husband has learned to be patient with me but I definitely take a tone more pictures, trials and errors when he's not there to wonder if I've gone crazy! After ole Design W and D informed her devoted followers last week that she would be "away" for awhile, I resigned myself to having to do without her addictive input for awhile. And with a vengeance. Well, good. I needed this on an otherwise typical day. Welcome back, and may there be many more recipes in our immediate future! 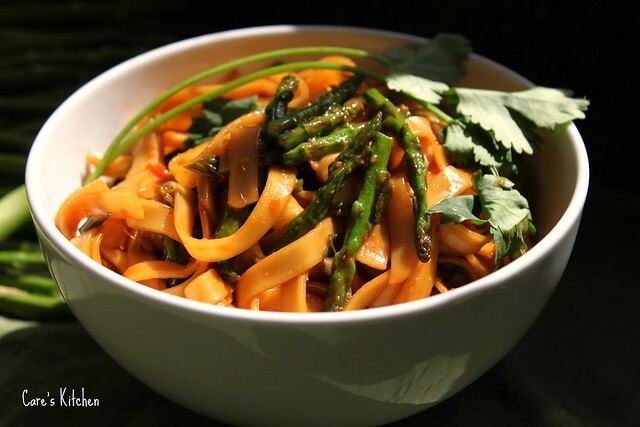 your noodles look fantab ! Yup. This sounds like me. in a nutshell. I'll move to China with you. For the lemongrass. Or maybe Thailand. Lemongrass AND thai basil AND kaffir limes. Yeah? This pasta dish looks delicious! Man do I love peanut noodles. This sound heavenly! Thanks for posting...we will be giving it a try. I'm sure it won't look as beautiful as yours. Fantastic presentation! You're too funny! How many days did you last??? 2? But the dish looks incredible, as always! Welcome back. So glad you decided not to take a break! We would miss you too much :) And yes, I am SOOOO addicted!! Love the noodles! I spent some (a lot) of time in Thailand. Noodle dishes like this were my mainstay of sustenance. Wow...didn't realize just how addicted I was :) At least I'm in good company!! I am so addicted to it, that when my son was asked by his teacher to draw me, he drew me in front of a computer. That's why I have decided at least for the weekends to take a break and not spending so much time in front of this machine. Regarding the other days I try to do it when he sleeps so he doesn't have this picture of me. 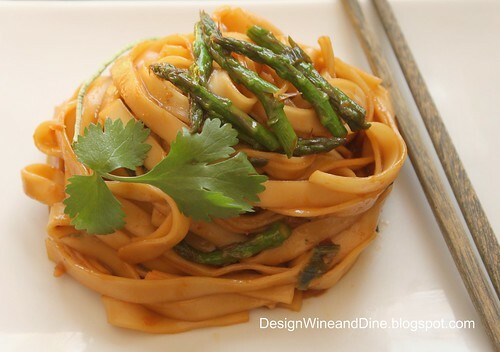 These noodles look divine! This looks so good...my mouth is watering! Very addicted, I can relate to every single statement :) And this dish looks pretty addicting as well!